Mrs. Meyer provides strategic direction to the Company’s private club operation focusing on programming, administration and sales and marketing support. She works with the Development team to implement programs that identify prospective members and promote new member sales. She also administers all policies, procedures and fee structures and handles all programming and amenities. 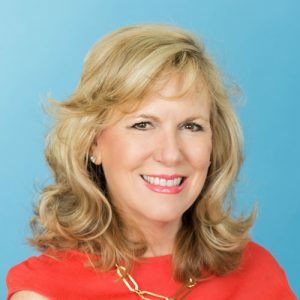 Mrs. Meyer brings more than thirty-four years of diversified management and sales and marketing experience with twenty-five years dedicated to private resort and club operations, club membership programming, administration, and human resources. She has been responsible for administration of one of the largest private membership clubs in the U.S. and has played key roles in marketing for major luxury and consumer goods manufacturers. She has also been responsible for staff training and development, international recruiting and employee relations in both hospitality and marketing environments. Prior to Penn-Florida, Mrs. Meyer was the Director of Member Services at the Boca Raton Resort & Club. She was also the Florida Account Executive for Fragrances Exclusive, Inc., a division of Chanel, and held sales and marketing management positons with Maidenform, Inc. and Tropicana Products, Inc.
Mrs. Meyer grew up in Boca Raton and attended local schools, earning a Bachelor of Science in Journalism from the University of Florida. She is a Sustaining Member of the Junior League of Boca Raton and a member of Impact 100. She is also a Past Member and Chairman of the City of Boca Raton Historic Preservation Board. Mrs. Meyer and her husband attend Spanish River Church where they participate in International Missions.